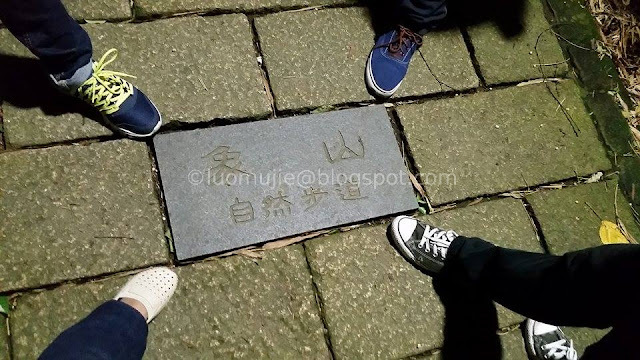 “Hana, Dul, Set”, visitors from Korea took a selca at Sun Yat-sen Memorial Hall. My Travel Buddies and I heard them as we looked for a nice place to have pictures. The famous tourist spot in Taipei was full of people but I managed to find a good angle to take a photo of my new friends.. I said “Yi, Er, San” and my camera emitted its flash. Ciara, Francis and Bryan who were my companions for this trip smiled in front of my camera. These Filipino interns will stay only for two months in Taiwan and they want to see as many places in Taipei as they can. A “Fast Track Travel Program” just fits right for them. And who else can tour them in the city? Haha! An interactive display in the Discovery Center of Taipei. Francis wanted to know his luck on this fortune-telling machine. There was a railway exhibit at the time of our visit in the Discovery Center of Taipei. Some stuff used in Taiwan's railway systems during the olden times. A look and feel inside an old train of Taiwan. Taipei City Hall houses the Discovery Center of Taipei. The entrance was free and it was an introduction for the many places to see in the capital. There were interactive displays that will make your visit more enjoyable. Memories of my first visit in this museum in Taiwan Day 84 (Discoveries) played again in my mind. I had lots of fun during my visit and I was still 27 years old at that time. The honor guards do not move once they stand at this platform. The statue of Sun Yat-sen was so big! The changing of honor guard ceremony was soon going to happen soon and visitors were asked not to go beyond the red rope. We watched the changing of honor guard ceremony from the upper floors of the building. The nearby Taipei Dome was still being constructed. Before heading to CKS, I brought my friends to the Visitor Information Center in Taipei Main Station where they applied for their Youth Card membership. My friends were still in their 20s so they were eligible to apply and through this Youth Card they can avail of discounts around Taiwan. We got hungry so each of us bought this TRA lunch box from one of the stores in Taipei Main Station. Two of the famous places in Taipei are the Sun Yat-sen (SYS) Memorial Hall and Chiang Kai-shek (CKS) Memorial Hall. The two influential men of Taiwan are still remembered up to now I have featured these places before in Taiwan Day 330 (A Tale of Two Fathers). Aside from learning lot of facts about Formosa in SYS and CKS, the hourly changing of honor guard ceremony always attracts a large crowd in these sites. We entered the museum inside the CKS Memorial Hall. Visitors can learn about the life of Chiang Kai-shek here. A card used before by Chiang Kai-shek. CKS in his office. Visitors were not allowed to pass through the glass barrier. If they do then a sensor would alarm. Honor guards in their white uniforms marching at the grounds of CKS Memorial Hall. Followers of a Buddhist religious group gathered at the grounds of the CKS Memorial Hall. It was an unusual sight as the worshippers sang and sent powerful prayers to the heavens. They lifted a lotus flower while praying like raising a golden gift. The majestic buildings of the National Opera House and the National Theater stood there without any complaint. It was already dinner time so we bought these fried chicken steak from Hot-Star. My friends while eating their dinner. We also had our dessert in Ximending in one of the stores there. A leisurely stroll at Ximending exposed my friends with the outdoor shopping mall feel. We went inside Uniqlo to have window shopping and we saw a lot of “Sale” items inside. To save a lot of money here in Uniqlo Ximending, one just have to look for the red tag. I saw polo shirts that was valued at NTD 390 while a pair of pants were priced at NTD 790. I was even able to find clothes with cheaper prices and I was thinking to add more clothes to my “Spring Collections”. Station map of MRT Xiangshan Station. Go to Exit 2 to find the entrance of the Elephant Mountain trail. As we go higher, the view becomes more beautiful. It was actually scary to stand on this large rock. The struggle was real. Haha! And we found this secret spot in Elephant Mountain. The were elephants in Elephant Mountain! Our last stop and the main event of our travel adventure was our hiking activity at Elephant Mountain. It was my third time to climb this mountain but the magic was still there. I was able to stand again in one of the large boulders at the top of Elephant Mountain through the help of my friends. I had this fear of heights but I was able to endure it. Standing on those large rocks was like being on the top of the world! After enjoying the scenery of Xinyi District, my friends and I had a dangerous night hike down to the foot of the mountain. Before reaching the modern corner of the city, we were rewarded with a surprise. Elephants! Taiwan Day 617 was my last travel adventure as a 28 year old Filipino. Exciting new stories will happen as I take my journey towards my 30s. I will grow older each year but my heart and soul will always remain young in Taiwan. I knew that because I live in a timeless Taipei.